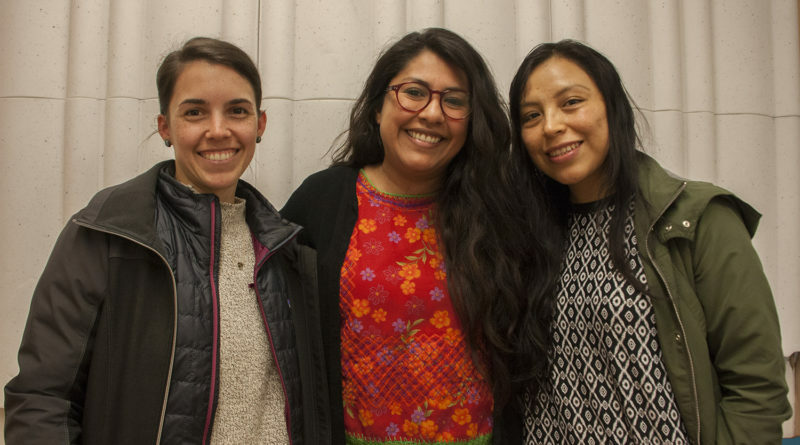 Above the trees and in the sky, radio waves carry the sounds of people, and in those voices are three women advocating for change and awareness for their Latinx community. 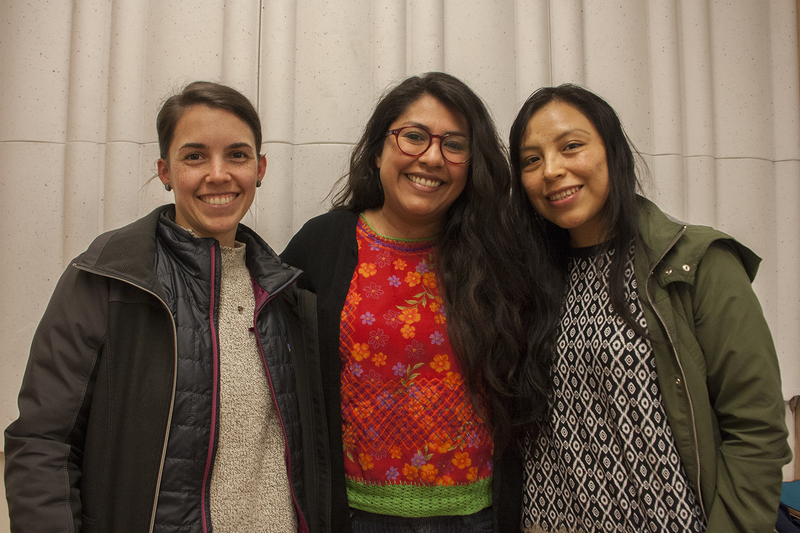 Humboldt State University students, Xochitl Cabrera, Brenda Mendoza and Yojana Miraya host Charlando Con La Raza. 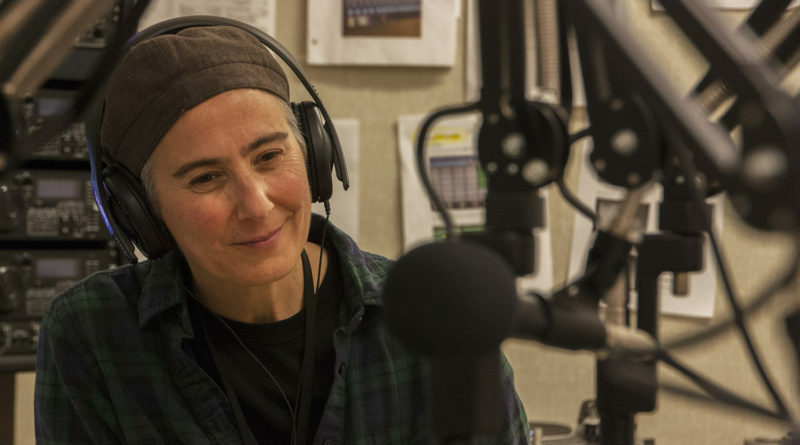 In November 2017, the three women fell upon an opportunity to host a radio show, and months later their program can be heard throughout Humboldt County and Del Norte County Tuesday nights at 7 p.m., Wednesday mornings at 7 a.m., and Saturday afternoons at 1 p.m. on KHSU 103.3 FM. From the creation of the program, the women knew they wanted to discuss the struggles of immigrants and speak on issues that are considered taboo in the Latinx community. “We don’t realize these things are affecting us until we sit down and have a conversation about them,” Cabrera said. 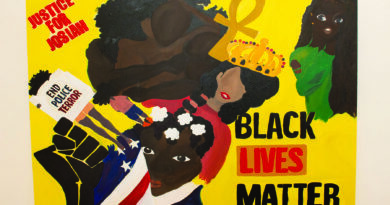 These topics cover environmentalism, identity, art and expression, immigration and Latinx culture. The show connects ideas they talk about back to social justice and everyday life. 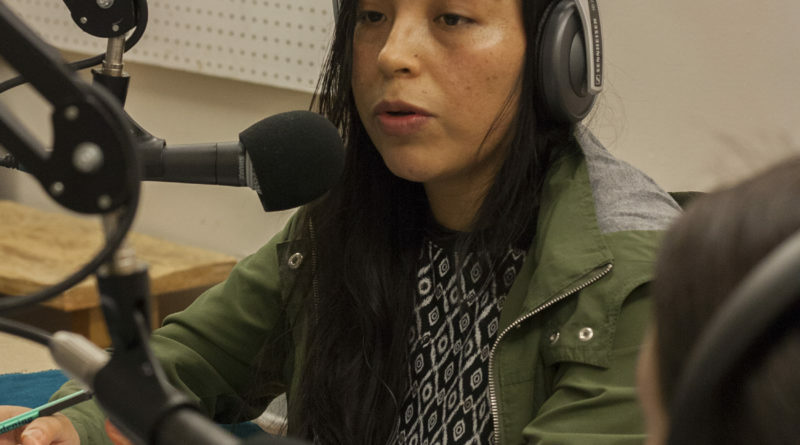 The establishment of Charlando Con La Raza became a part of KHSU after Radio Bilingüe, a national Latino public radio network, was brought to HSU. 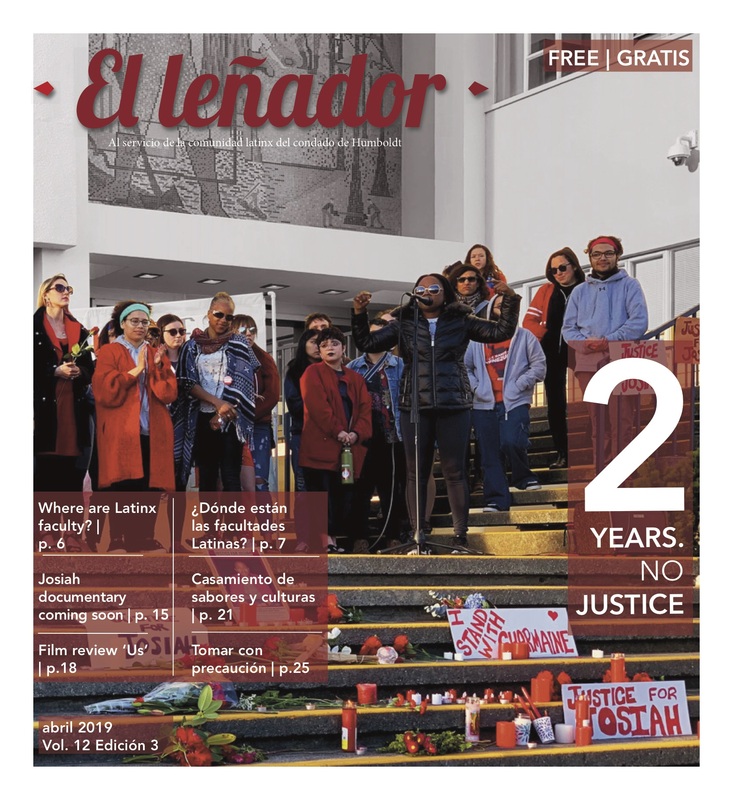 According to Jessica Eden, producer of shows like Charlando Con La Raza, for years people had been talking about getting Spanish language radio here in a more sustained way. 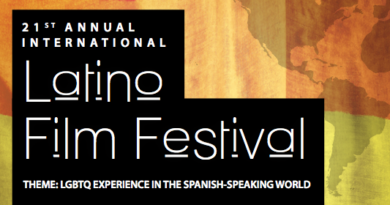 Although there have been several broadcast relays from other Spanish programs, none have been based in the local area. “We knew there was enough energy from the community and enough energy here on campus that people really, really wanted that to happen,” Eden said. When news arrived that Radio Bilingüe was actually going to happen, Eden knew there needed to be local content. Eden wanted to demonstrate to their boss at the radio station, and to HSU administration that this was something of importance. Even by having a satellite feed from Fresno, California airing Radio Bilingue, it would not be enough. So, to demonstrate the desire and energy for Spanish language radio, Eden reached out to students to be part of the movement. Recently, the women have used their show as a medium to advocate for the sanctuary ordinance in Humboldt County. They’ve spoken on the importance of the initiative for migrants. and stepped out onto the streets to gather signatures alongside the organization Centro del Pueblo. The ordinance would prevent local sheriffs or county employees from aiding federal immigration enforcement unless it is necessary under certain laws such as serious crime cases, according to an article published in the Times Standard. The first step for them would be to collect 4,000 signatures so that the initiative is placed on the voting ballot. Mendoza said they have collected a little over 2,900 signatures around the county. According to Mendoza, they have received mixed reactions from the community after they promoted the sanctuary ordinance. “Some of the people are very supportive and are progressive, but some other sectors are very conservative and they show open rejection,” Mendoza said. When Mendoza and Miraya gathered signatures in Ferndale and Fortuna, they felt that it was tough and described the towns as conservative places in Humboldt County. She said that she has to remind herself that those intense reactions are not against her, but rather themselves and their own mentality. Miraya said people with such strong perspectives tend not to be open to new ideas. Even explaining what Centro Del Pueblo did and the sanctuary ordinance can be difficult since they refuse to listen. However, sometimes they get people who do stop and listen. Mendoza said that when that occurs, that’s the moment that gives her hope. Mendoza said that in Latin America most people don’t believe in institutions, or at least in Mexico. But here in the United States people respect laws and norms. Everything is well regulated and its different. The experiences that Mendoza, Miraya, and Cabrera witness and feel, find their way onto Charlando Con La Raza. The show is a tool for them to educate, share, and advocate for their community. ← No Money, No Coordinator, No MCC?